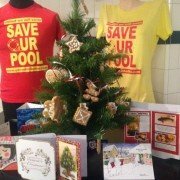 Govanhill Baths Community Trust would like to wish all of our friends and supporters a very Merry Christmas and a Prosperous New Year. Your support and participation has never been more crucial and appreciated. 2015 has been a very good year for GBCT. We have taken massive strides forward in our campaign to secure funding for the refurbishment of the baths and continued to provide an exciting and innovative programme of classes, workshops and events for the people of Govanhill and beyond. There have been a few changes to personnel and staff over the year and we cannot look back without acknowledging the contribution of some of the key players who have taken us to where we are now. Our long-time Chair and driving force of the campaign Andrew Johnson retired from his work with the Baths this year. It is impossible to imagine where our project would be without his dedication and imagination over the 14 years he gave to the campaign. GBCT would like to extend our heartfelt sympathy to the family of Michael McGinn, who sadly passed away recently. Michael was an absolute stalwart of the campaign to stop the closure of the Baths in 2001. His contribution will never be forgotten, he is – like all of those who fought in 2001 – a true Govanhill hero. The GBCT office will be closed until Tuesday January 5th. See you all next year. An exciting opportunity exists for a well qualified and creative person to join the team of staff and volunteers at the Govanhill Baths Community Trust (GBCT). We are looking to recruit a Learning and Outreach Officer to develop and coordinate the delivery of the Activity Plan for the HLF Govanhill Baths project in Govanhill. GBCT is a registered charity which campaigns to preserve and conserve, for public benefit, Govanhill Baths, and for the redevelopment and reopening of the Edwardian swimming pool and wash house in Govanhill, Glasgow. After 15 years of determined campaigning the Govanhill Baths Community Trust are proud to announce that the people of Govanhill will indeed be swimming again in the historic Govanhill Baths thanks to the Heritage Lottery Fund and the Big Lottery. The refurbishment is scheduled to being in 2017 after a yearlong development phase and will bring into service the Ladies’ pool, Learners’ pool, Turkish Suite and Sauna, Gym, Rooftop Gardens, a Community Kitchen and Multipurpose community spaces. While the former public washhouse, or ‘steamie’, will be turned into a theatre venue and community events and arts space. Application: Applicants will be required to outline, by referring to the job description and specification, their relevant experience, qualifications and information as to why they believe they are the right person for the post and what they can bring to the ongoing development of the Govanhill Baths Trust. A CV may also be attached. Format: No more than 2 sides of A4 paper using 12 point font. NOTE: Applications exceeding the required format will be rejected. 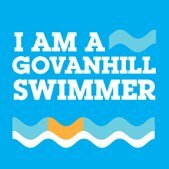 Applications should be made via email and marked ‘LOO Application: Confidential’ and emailed to info@govanhillbaths.com. No hard copies will be accepted. Deadline: Applications must be in by 5.00pm 5th of January 2016. Interviews: 13th of January 2016. The Trust conforms to all the requirements of the Equality Act and its Duties under Positive Action. Applicants from members of minority/members of protected characteristic groups are particularly invited to apply. Its another busy month at the baths with a series of interesting events taking place. Our weekly knitting and crocheting group Cast-Offs runs every Monday afternoon and a series of classes, groups and workshops will be starting in the new year. 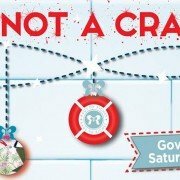 In the meantime, why dont you come along and enjoy one of the FREE talks and perfomances at the Baths this month, or come along to the 4th edition of This Is Not a Craft Fair, the ideal place to find a unique Christmas gift. Bruce (sic) is series of prints designed by Govanhill based Texan artist Kari Stewart. The text is a transcript from Bruce Springsteen’s live spoken intro to his song ‘Factory’ during his 1978-81Darkness on the Edge of Town tour. Each spoken intro repeats fragments of the same remembered story – a young Bruce watching his overworked father. The exhibition was launched in November to coincide with the Sonica Festival and is on display in the foyer until Friday 11th December. Over the past few years Rags to Riches’s craft event, providing a platform to a range of amazing local artists, designers and makers. The fair is the one stop shop for all things upcycled and we will have a wide range of upcycled gifts on offer from furniture, jewellery, homeware and fashion. Govanhill Theatre and Govanhill Young Theatre Makers present a joint show featuring a short performance as a culmination of GYTMs series of workshops with young local people. The 15 minute performance is followed at 7.30pm by Radio Theatre Company’s production of “The Bishops Wife” a story for Christmas based on the 1947 Samuel Goldwyn comedy film that starred David Niven and Cary Grant. The building will close at 5pm on Thursday 24th December 2015 and re-opens on Tuesday January 5th at 10am.